Renault-Nissan and Daimler have hailed their industrial cooperation on the occasion of winning the 2013 Franco-German Business Award. Awarded by the Franco-German Chamber of Commerce and Industry, the prize recognises French and German companies that are benchmarks for cooperation in four areas: industrial cooperation, the environment, innovation and new technologies, and human resources. "By every objective measure, this cooperation is one of the most productive in the auto industry, enabling all partners to increase economies of scale while keeping our brands and products distinct," said Carlos Ghosn, chairman and CEO of the Renault-Nissan Alliance. "The partnership has grown substantially beyond its initial scope," added Dieter Zetsche, Daimler CEO and head of Mercedes-Benz Cars. "What started as a cooperation with projects focused primarily on small cars in Europe is now a diverse portfolio of projects globally, and we see no barriers to future growth." The first product of the 2010 Daimler and Renault-Nissan strategic cooperation was launched in September 2012 when Daimler released its Mercedes-Benz Citan city van, which is based on Renault's Kangoo. The vehicle is produced in Renault's plant in Maubeuge, France, where Renault also produces its Kangoo light commercial vehicle. The Citan also features a jointly developed Renault-Daimler four-cylinder, 1.5 liter diesel engine. A variant of this engine had its market introduction in the new Mercedes-Benz A-and B-Class models in 2012. "The Citan project required an unprecedented amount of trust and transparency among French and German colleagues who never before worked together. 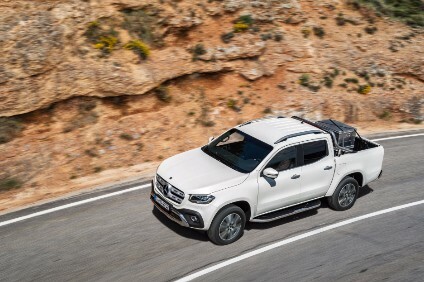 It demonstrates how deep the partnership has penetrated into our manufacturing processes and our collective workforces," said Jacques Verdonck, Renault-Nissan Alliance Director for the Strategic Cooperation with Daimler. 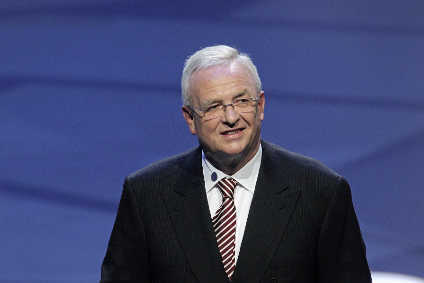 Verdonck, who accepted the award on behalf of Renault at the awards ceremony in Paris, was the lead negotiator for the strategic cooperation between Renault-Nissan Alliance and Daimler. "The project required daily working-together by teams in Germany and France: to understand each other and to speak a common language, with common guidelines, milestones and product definitions," said Gero Herrmann, Senior Vice President Cooperation Coordination Renault-Nissan at Daimler. "Cooperation isn't magic but is the result of hard work every day, and our teams have delivered and continue to deliver consistently." In addition to sharing engines, Renault and Daimler are also working on the next-generation Twingo and four-seat smart production in Novo Mesto, Slovenia. These small cars are now jointly developed on the basis of a shared architecture, but will remain independent products with their own brand identity. The cars will be launched in the second half of 2014. Nissan and Daimler are also working on several bi-lateral projects, including joint production of Mercedes-Benz four-cylinder gasoline engines at Nissan's powertrain assembly plant in Decherd, Tennessee, USA. Production of the engines, which will be fitted on Mercedes-Benz and Infiniti models, will begin in mid 2014, with installed capacity of 250,000 units per year once full ramp-up is achieved. In addition, Nissan, Daimler and Ford Motor Co. are working on the development of a joint fuel-cell stack and system to accelerate the market-readiness of fuel-cell electric vehicles. PARIS-STUTTGART (Dec. 10, 2013)—Renault SAS and Daimler AG have won the prestigious 2013 Franco-German Business Award for their industrial cooperation, which has expanded significantly since Daimler and the Renault-Nissan Alliance joined forces in 2010. Awarded by the Franco-German Chamber of Commerce and Industry, the prize recognizes French and German companies that are benchmarks for cooperation in four areas: industrial cooperation, the environment, innovation and new technologies, and human resources. “By every objective measure, this cooperation is one of the most productive in the auto industry, enabling all partners to increase economies of scale while keeping our brands and products distinct,” said Carlos Ghosn, chairman and CEO of the Renault-Nissan Alliance. The first products of the 2010 Daimler and Renault-Nissan strategic cooperation are already on the road: in September 2012, Daimler released its Mercedes-Benz Citan city van, which is based on Renault’s Kangoo, the inventor of this market segment. 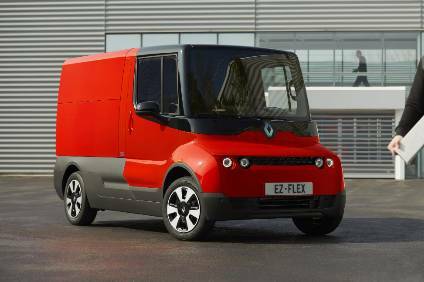 The vehicle is produced in Renault’s plant in Maubeuge, France, where Renault also produces its Kangoo light commercial vehicle. The Citan, which accounts for about 25% of total production output in Maubeuge, increases job security and efficiency at the plant in eastern France. The Citan also features a jointly developed Renault-Daimler four-cylinder, 1.5 liter diesel engine. A variant of this engine had its market introduction in the new Mercedes-Benz A-and B-Class models in 2012. “The Citan project required an unprecedented amount of trust and transparency among French and German colleagues who never before worked together. It demonstrates how deep the partnership has penetrated into our manufacturing processes and our collective workforces,” said Jacques Verdonck, Renault-Nissan Alliance Director for the Strategic Cooperation with Daimler. Verdonck, who accepted the award on behalf of Renault at the awards ceremony in Paris, was the lead negotiator for the strategic cooperation between Renault-Nissan Alliance and Daimler. The Renault-Nissan and Daimler strategic cooperation is bound together by cross-shareholdings. In 2010, Daimler took a 3.1% share in Renault and Nissan, which in turn each have a 1.55% share in Daimler. The partnership is managed by a Cooperation Committee which is chaired by Mr. Ghosn and Mr. Zetsche and consists of senior executives from Renault, Nissan, the Renault-Nissan Alliance and Daimler. This governance board meets 10 times a year to ensure the implementation of the agreed projects and to discuss proposals for further cooperation projects. In addition to sharing engines, Renault and Daimler are also working on the next-generation Twingo and four-seat smart production in Novo Mesto, Slovenia. These small cars are now jointly developed on the basis of a shared architecture, but will remain independent products with an unmistakable brand identity. The cars will be launched in the second half of 2014. Nissan and Daimler are also working on several bi-lateral projects, including joint production of Mercedes-Benz four-cylinder gasoline engines at Nissan’s powertrain assembly plant in Decherd, Tennessee, USA. Production of the engines, which will be fitted on Mercedes-Benz and Infiniti models, will begin in mid 2014, with installed capacity of 250,000 units per year once full ramp-up is achieved. In addition, Nissan, Daimler and Ford Motor Co. are working on the development of a joint fuel-cell stack and system to accelerate the market-readiness of fuel-cell electric vehicles. The 2013 industrial cooperation award was presented by President of the Franco-German Chamber of Commerce & Industry Guy Maugis to Jacques Verdonck, Renault-Nissan Alliance Director for the Strategic Cooperation with Daimler, and Gero Herrmann, Senior Vice President Cooperation Coordination Renault-Nissan, at a ceremony in Paris on December 9, 2013. The jury for the 2013 Franco-German Business Award was comprised of 10 French and German CEOs, economists and journalists. About 350 guests attended the event, including Fleur Pellerin, French minister for small and medium enterprises, innovation, and the digital economy, and Philipp Rösler, Germany’s federal minister of economics and technology. The Renault-Nissan Alliance is a strategic partnership between Renault (based in Boulogne-Billancourt, France) and Nissan (based in Yokohama, Japan), which together sell one in ten cars worldwide. Renault and Nissan have been strategic partners since 1999 and sold 8.1 million cars in nearly 200 countries in 2012. The Alliance operates strategic collaborations with numerous automakers, including Germany’s Daimler, China’s Dongfeng, and with regional manufacturers such as Ashok Leyland in India. For more information, go to: blog.alliance-renault-nissan.com. (stock exchange symbol DAI). In 2012, the Group sold 2.2 million vehicles and employed a workforce of 275,000 people; revenue totaled €114.3 billion and EBIT amounted to €8.6 billion.